During WWII a bomb plant disguised as the United Wallpaper Company was located on Parker Road and that the bombs were shipped out of Long Valley at night on the Central Railroad. Scenes from “The Miracle Worker” movie were filmed here in Long Valley on Gilbert Hemmings farm on East Mill Road and the cast ate at the Long Valley Inn. Naughright Road and Naughtrightville were named for William Naughright who settled in that area in 1793 – and that his direct descendants still live there. Lake George in Schooley’s Mountain Park was once called Electric Light Pond and the water from the lake produced electricity for German Valley/Long Valley until the early 1920s. Celeste Holm lived in the area of Pleasant Grove and was the Grand Marshall of the 1988 Washington Township 250th celebratory parade. The Glen Tea Room on Schooley’s Mountain was known for its waffles and had such dedicated patrons as Thomas Edison and Rudy Vallee. The Schooley’s Mountain resort area of Schooley’s Mountain rivaled Newport, RI and Saratoga Springs, NY and laid claim to such distinguished visitors as the Roosevelts, Astors and Ulysses S. Grant. The chalybeate water on Schooley’s Mountain was known as some of the purest in the world and its healing powers led to Schooley’s Mountain being one of the first and finest resort areas in America. The Schooley’s Mountain General Store is one of the oldest continuously run general stores in America and was started by Joseph Heath. The Washington Twp. Municipal Building was built in 1886 as the second school in German Valley. The Washington Township Historical Society Museum was built in 1830 and is the oldest surviving school in Long Valley. The Old Stone Union Church was built in 1774 and was the site of the pastorate of Henry M. Muhlenburg DD – known as the Father of Lutheranism in America. 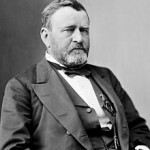 Louis Richard Schoenheit lived in the Old Fort was part of the honor guard at President Lincoln’s funeral. The Obadiah Latourette Grist and Saw Mill was built c 1750 and also housed the offices of Dr. Eugene Blass of the Eastern American Oxygen Therapy Association after WWII. 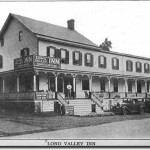 The Long Valley Inn at the intersection of East and West Mill Roads was certainly in existence during the Revolutionary War – and that Albert Einstein used to come to the inn for Sunday chicken dinners. The Neighbour House B & B on West Mill Road was most likely built by Jacob Weisse Neighbour, a direct descendant of Leanhart Nachbar, one of the founding fathers who arrived in 1738. The Central Railroad of NJ – High Bridge Branch ran through Washington Township from 1876 to 1976 and there were four main stations. The spooky house on West Mill Road was once a humane institute for the mentally insane run by Dr. Ebenezer K. Sherwood. In 1932, the New Jersey Senate made a proposal to form a reservoir between Schooley’s Mountain and Fox Hill which would have flooded virtually the entire valley. Our township was started in the Middle Valley area in 1732 by Samuel Schwachhamer. 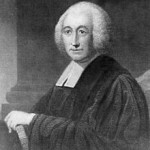 Henry Muhlenberg (1711-1787), founder of Lutheranism in America, established a congregation in German Valley, which met at the Old Stone Church. Long Valley was actually first called German Valley, when it was settled in the 1700s by immigrants from Saxony, Germany. It was renamed Long Valley during World War I.